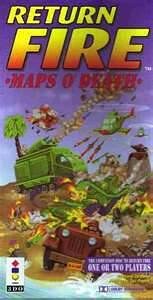 Maps O' Death is a fun add-on mission disc, one of only two to ever appear on the 3DO (the other being Operation Jumpgate) It is a companion to the popular Return Fire, and adds 100+ new missions to the game. Since it isn't a sequel (you can't play it without a Return Fire save file) nearly everything I said in my Return Fire review applies here. ( http://www.3do.cdinteractive.co.uk/viewtopic.php?t=2884 ) But besides just being more of the same, there are some differences. The biggest change isn't just all the new maps, but what they bring to the table. For one, their design represents a substantial increase in challenge from the original Return Fire! Even the old maps that return are tougher thanks to a diminished vehicle reserve. With fewer vehicles to work with, the margin for error has shrunk considerably! This increase in challenge can be a good or bad thing depending on your point of view. Honestly though, if you had taken the time to learn and complete the original Return Fire, than you probably welcomed the higher difficulty level (if it's too tough, use codes) At the very least it would keep you busy until the M2 sequel. Many of the new maps also make more of an impact. The designs may be less realistic than those in the original game, but it doesn't make them any less fun. The imagination in them lends itself to a more memorable experience. 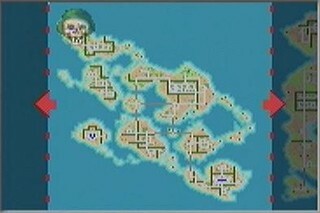 For instance, early on you'll notice a death skull in the upper left corner of certain maps. While I'm not entirely certain what these indicate (again, there are only bare bones instructions accessed in game) they do seem to often accompany some creative levels. 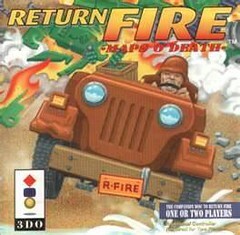 Some of the early ones were a level where you can only choose the jeep, trying to navigate a field of land mines! There is also one where the level is laid out like a chess board. This type of design shows going a step beyond just recycling variants of the original maps, and is appreciated. Because of the designs of the new maps, an already visually good game may be slightly better. The larger maps allow for even more detailed textured 3D visuals on screen at once. The game does have the same exact visual sharpness as the original release ... there is just more opportunity to appreciate it on an even larger scale. The only other change that I noticed is the password setup is done with pictures this time around. A very minor change that has no affect on game play. And of course the game still saves to the internal memory. More Return Fire isn't a bad thing in my book. Maps O' Death delivers more of what you enjoyed from the original, and its increased difficulty extends even further the life of the game. Worth owning!